I was going to finish my chevron toy box last night that I’ve been working on for a couple of days but it was 100 degrees outside. Yeah, not gonna happen. So, guess I had to cook a yummy meal for my hubby since he was actually home for dinner! Cook beef in large skillet until brown. 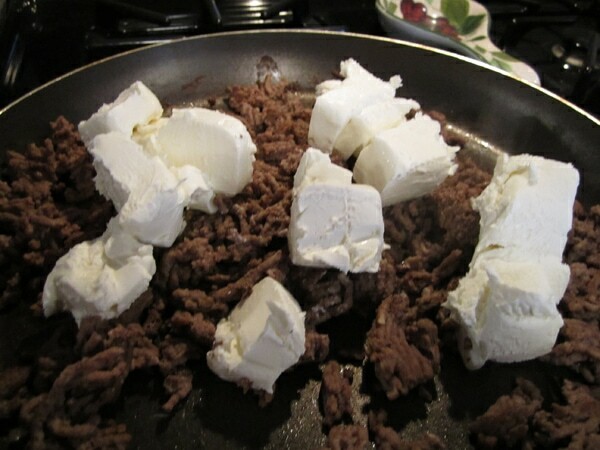 Reduce heat to medium and add cream cheese, black olives and chili powder. Simmer for 5 minutes. 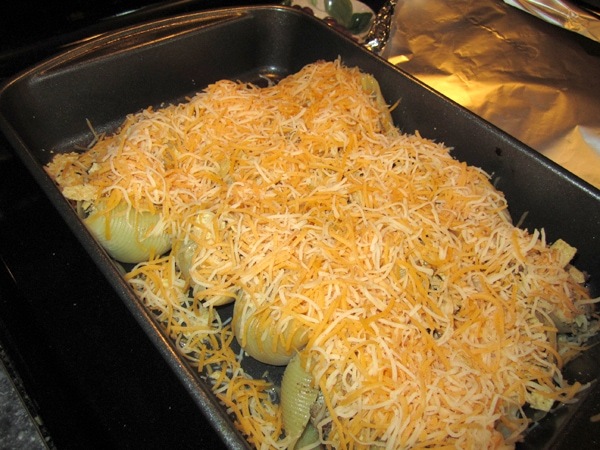 Fill cooked pasta shells with mixture and arrange in the pan. 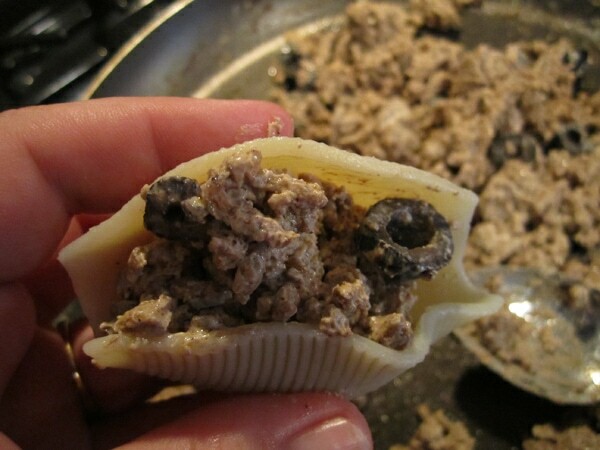 Pour taco sauce over each shell. Uncover. 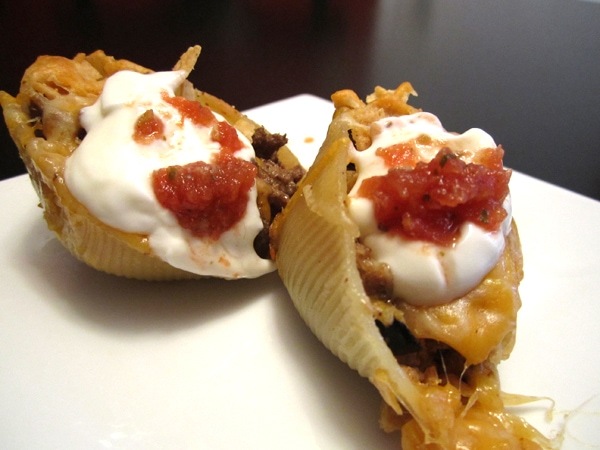 Top with shredded cheese and chips. Bake another 15 minutes uncovered or until bubbly. 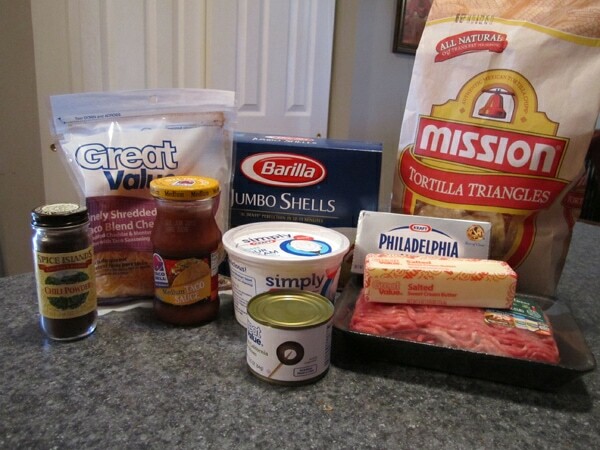 Here’s some photos to guide you through the recipe! Very easy to make with only 25 minutes prep time. 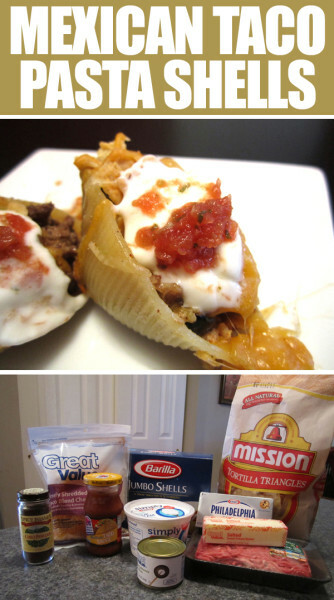 oh my goodness, these look good, and simple to make! Thank you for sharing. I’m going to try them this week! WOW! That sounds delicious! I’ll be making these next week for my family. Thanks for posting! YUM! 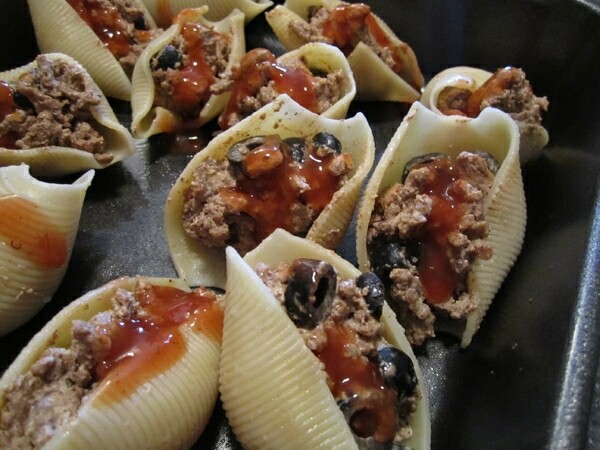 This is an interesting twist on stuffed shells! I can’t wait to try it! Thanks so much for featuring my dresser! Love the others too! What a wonderful recipe. Thanks for sharing at the newbie party. Welcome to blogging!~ I look forward to seeing you for a while at the party. Yummy! 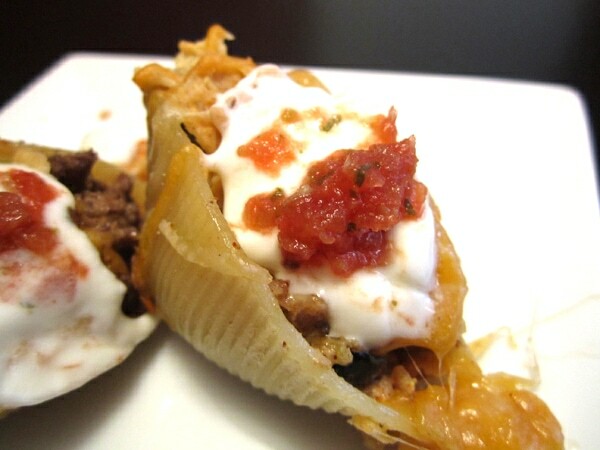 I love mixing up Mexican and Italian dishes! I just made a hot pasta salad with salsa and pesto! mmmmm…. These look so yummy! I am adding this recipe to my “to cook” list. Thanks for sharing! Sounds fantastic! I know my husband would love this! Making this now right now! Adding black beans to the meat mixture. Love to hear that, Eleonore. Glad everyone enjoyed it!